Growing up as a 12 or 13 year old I always felt a lot of pressure in the front of my neck. Nothing was ever done about it until I was married and suffered 2 miscarriages, so my doctor ran some tests and found out I had Graves' disease. The treatment was drinking radioactive iodine. That was 25 years ago. Immediately the pressure left, what a relief! Now, I take 1 pill a day for the rest of my life, and I feel fine. 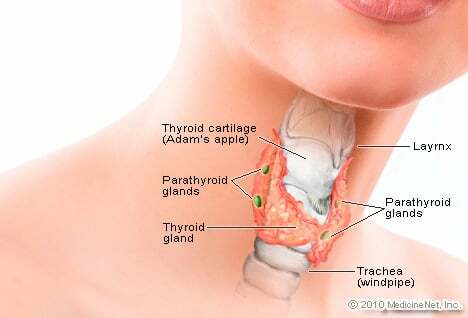 I had my 1st goiter removed when I was 30. I'm now 61. I had my 2nd one done when I was 57 and let me tell you that was a horrible experience. Now, I have just found out that I have another one and I just don't understand. I am terrified of going through another surgery after the other one. I developed so many other problems after that surgery also. My hands shake all the time. I have speech problems, bad headaches. The doctor accidentally hit my "juggler vein". My hands are starting to withdraw also. I do have fantastic Doctors now but, I just wanted to put in a word.